The glow of the 2015 NFL Draft has come and gone, but the lasting imprint may ultimately reside with Chicago youth through the league’s Play 60 marketing campaign. Play 60, which promotes an active and healthy lifestyle in the fight against childhood obesity, leveraged the popularity of the draft to draw kids, including those from Willa Cather Elementary School, to participate in football clinics in Grant Park last week. With raised awareness of concussions due to the violent nature of the sport, Play 60, which conducts clinics and football-related games and activities for kids nationwide, attempts a positive re-branding of the sport. 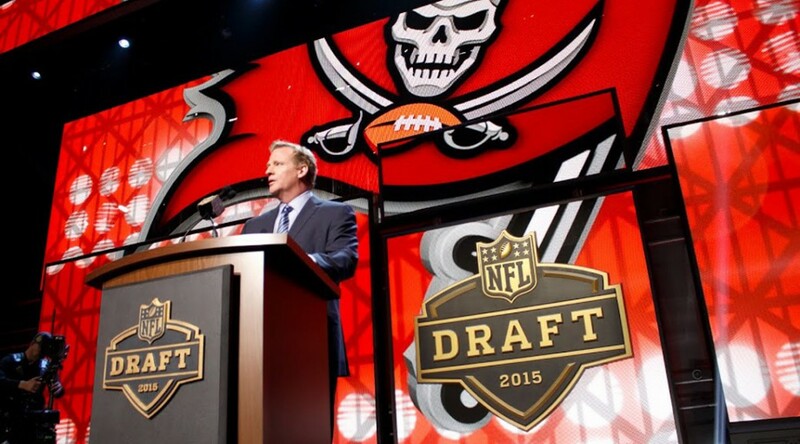 Despite the NFL’s efforts to clean up its image, the 2015 draft revealed a troubling trend as teams continued to select players with allegedly violent pasts. More troubling, however, said domestic violence experts and observers, was that the extensive vetting process employed by prospective teams failed to include the alleged victims of three high-profile draft picks. 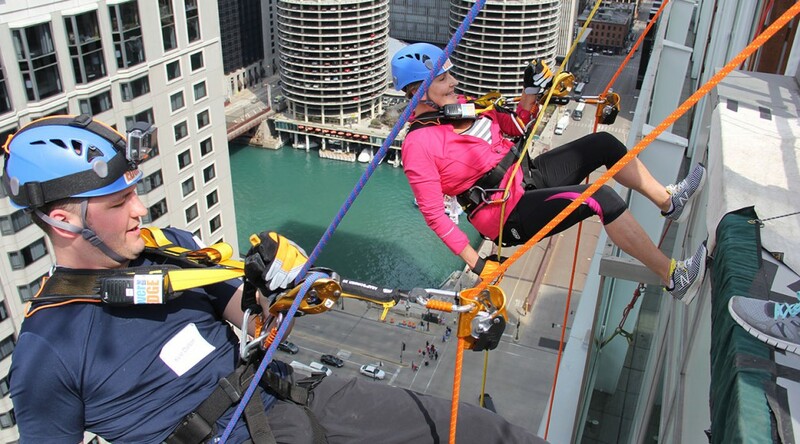 More than 50 altruistic daredevils brought some extra excitement to State and Lake streets last Sunday as they rappelled down the Wit Hotel’s outside wall. When Armando Lucenda was a 12-year-old boy growing up in Pilsen 17 years ago, he said he had a choice to make. Studies show that student-athletes are improving the graduation rate at Chicago Public Schools. CPS observes a “no pass, no play” policy, meaning students must earn a 2.0 gpa and pass 25 credit hours to be eligible to compete. A carnival-like atmosphere marked the first-ever NFL Draft Town held in Chicago’s Grant Park on Thursday. Fans in jerseys emblazoned with every imaginable team logo strolled the 319 acre expanse known as the city’s front lawn, thrilled to be taking part in the first draft held here in more than 50 years. 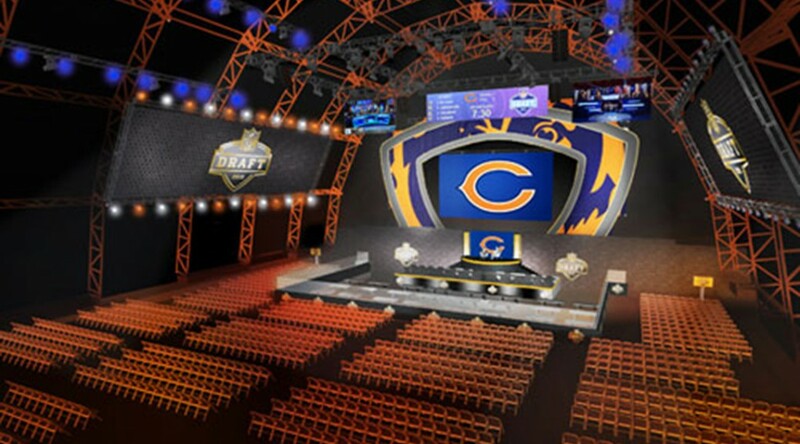 As part of hosting the draft, Chicago’s iconic park was transformed into a sprawling theme park with multiple stages, team tents, a draft tavern, a 40-yard field goal kicking area and other amenities all designed to provide a great fan experience for the 100,000 people expected to participate in the festivities over the three days. 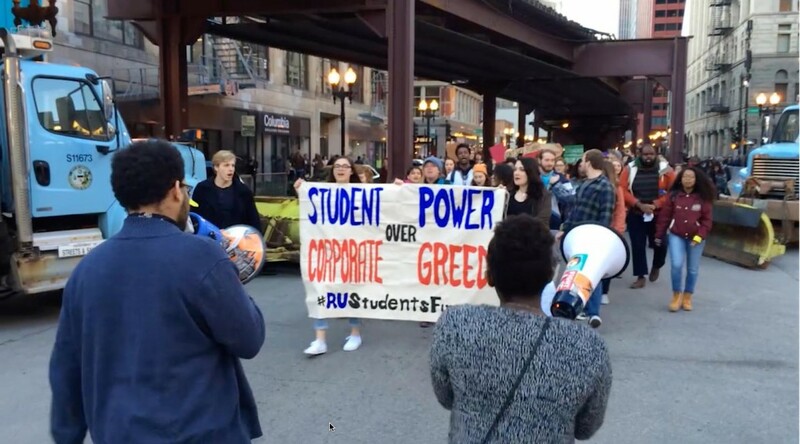 As the world watched the first round of the 2015 NFL Draft on Thursday live from inside Roosevelt University’s historic Auditorium Theatre, students outside protested the university’s facilitation of resources for the draft. Under the black Titleist tent just behind the 18th green of the Woodside Course at Cantigny Golf in Wheaton, Frank Lindwall slowly removed his weathered hat, let out a sigh and then buried his head in his arms. The high school sophomore from Cedar Rapids seemed to be trying to delay the inevitable, not wanting to sign his scorecard that would make his 6-over-par final round official. Or, perhaps the 16-year-old didn’t want to see tournament co-winners Drew Kiehl and David Perkins celebrate a win that slipped away with a bogey on the final hole to drop Lindwall into third place by one stroke.